We specialize in transfers to Belize as well as transfers in Belize. In you are interested in renting a car while in Belize, check out Belize VIP Auto Rental right in Corozal. Within our own country we can provide tranfers in Belize. And from Belize to Mexico: to Chetumal, Tulum, Playa del Carmen, and Cancun all in Quintana Roo, and Merida in Yucatan. 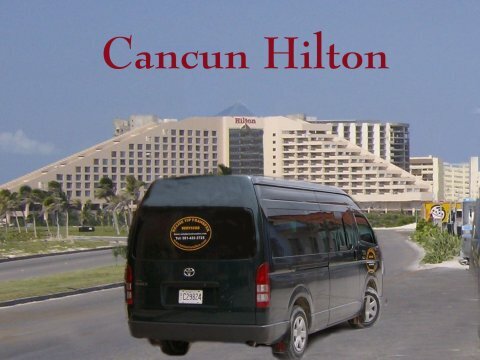 Other places we serve in Mexico are transfers from Akumal to Belize, as well as Filipe Carillo Puerto. 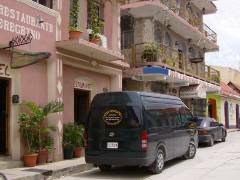 We also have transfers to Flores, Tikal, in Guatemala. From the eastern coast of Mexico and the Yucatan, our prices are some of the best. We have a fleet of first class vans with air-conditioning for your comfort. Our goal is to give you the best deal to get transfers in Belize and have satisfied customers! 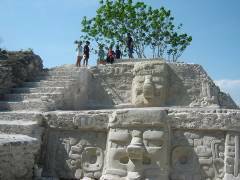 If you have any questions about traveling through Mexico to Belize, about customs, or visas, we at Belize Transfers can help you. 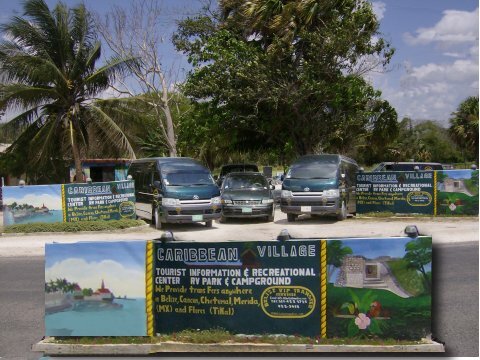 At the Caribbean Village, South End, Corozal Town, we have a fully equipped RV Park with dumping stations, electricity, and water. There is also phone, internet, and cable service available at your request. At our new Information Center, you can find a wealth of information of what Belize has to offer. Corozal is the gateway to Belize and Central America from Mexico. We are happy to greet tourists coming from other countries, like the United States, through Mexico. We arrange for trips to nearby Mayan sites including Cerros and Santa Rita in the Corozal District. Also available are tours to Lamanai, where we take you to Orange Walk to take the delightful boatride to the site. , or even call us at 501-422-2725. From the US dial 011 before the number, and from Mexico, dial 00 before the number. Or you can use WhatsApp +501 651 8235. You can charge your transfer to Visa or Mastercard. I am pleased to recommend Menzies Tours for persons planning a visit to Belize. As the owner of a B & B in Progresso Heights, Corosal District of Belize, it has been my good fortune to come upon Belize Transfers for dependable service from Cancun south along the Yucatan coast. Because of their service I no longer fly into Belize City. Rather, I purchase my round-trip ticket to Cancun and travel by express bus in six hours to Chetumal where I am picked up, facilitated with border crossing, and brought directly on to Progresso Heights via Corozal. Return arrangements for departure pickup to Chetumal are also made in total confidence for timely and comfortable service. Printed from https://belizetransfers.com — BelizeTransfers Home.